Born on June 16, 1902, in Hartford, Connecticut, McClintock was an independent child who loved reading, music, sports, and “thinking about things.” She developed a passion for science while in high school in Brooklyn, New York, and insisted on her right to know more. In 1919 she began her university education at Cornell where she completed her Ph.D. in botany in 1927. By then she was a professional scientist fitly absorbed in her work. Using new staining techniques that allowed the viewing and describing of individual corn chromosomes by their length, shape, and pattern, in 1929 McClintock showed that all 10 chromosomes of corn are structurally distinguishable. Next she matched microscopic investigations with outcomes of agricultural experiments; she collected evidence that chromosomes cross­over (mutually exchange genetic material during division), a fundamental concept that she established in 1931 with publication of her work with Harriet Creighton. That same year Curt Stem presented support for this idea based on studies with fruit flies. After years of temporary assignments at Cornell, which hired women faculty only in home economics, McClintock was hired by the University of Missouri in 1936. Working on chromosomes damaged by exposure to X­rays, she detected evidence of non­random rejoining of chromosomes that she interpreted as another mechanism for generating hereditary changes. After she left Missouri in 1941, McClintock moved to New York to work at Cold Spring Harbor Laboratory where she spent the rest of her life. In 1944 she was elected to membership in the National Academy of Sciences, only the third woman in its history to be so honored. McClintock’s experiments revealed complex and dynamic relationships between the cell and the genome (total chromosomal material in a germ cell). 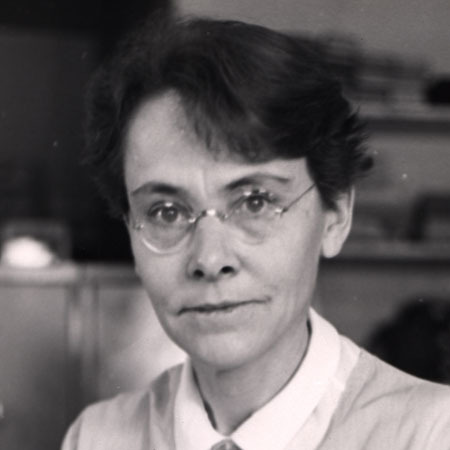 Her work described the importance of the organizer region of the nucleolus (spherical body inside a cell nucleus) and recognized transpositions in genomes as responses to internal and external stresses that affect both form and function of an organism. Her ideas about “jumping genes” gained recognition and verification in the late 1970s. In 1978 a paper describing her work on mechanisms that reorganize the gene garnered international attention, and in 1981 she received the first MacArthur Laureate award as well as other honors. In 1983 she was awarded the Nobel Prize for Physiology or Medicine. McClintock died on September 2, 1992, in Long Island, New York. McClintock’s work opened up new paths in the field of genetic analysis, including the possibility of a new, dynamic model of genetic behavior. McClintock’s work encouraged the use of corn, in particular maize, in genetic analyses. Corn proved to have advantages that scientists could exploit for genetic testing: each of the many kernels on an ear of corn represented a distinct fertilization episode and the variegation in color offered a chance to study many instances of genetic mutations. More controversial were McClintock’s experiments and observations suggesting complex “nature ­nurture” affects in hybrid corn plants. Physicists and chemists in the 1950s and 1960s relied on molecular structure alone to describe the simplest possible “genetic code.” McClintock, however, started claiming as early as 1944 that chromosomes could rearrange themselves to respond to “activators” within the cell. This possibility of functional transposition or movement of genetic material did not fit with the Watson­Crick model of a limited number of static configurations of DNA. In the late 1970s and beyond the patterns McClintock saw in corn cells began to be noticed by others studying bacteria, yeast, and fruit flies. The genome was seen to be a very complex and dynamic structure that does not behave only in response to known physical laws. What these discoveries imply for the development of individual organisms and for the evolution of species remains a topic for ongoing research.